Marriage has taken a back seat for younger couples at an increasing rate over the years, but that hasn’t stopped them from engaging in common practices associated with lifelong nuptials. Rather than waiting for rings and renting for an extended period, many people are buying homes together before marriage. MONEY, reporting on their poll of 500 millennials, found that 40 percent think it’s a good idea to purchase a home before marriage, and 37 percent believe they should complete the purchase before their wedding. Overall, unmarried couples made up 16 percent of first-time homebuyers in 2017, according to the National Association of Realtors. If you and your partner have recently started the hunt for a new home, here are some tips to consider along the way. Buying a house entails so many regular payments, such as a mortgage loan, property taxes, insurance and more. Trying to figure out who owes what from different accounts can cause a lot of headaches and potential friction in your relationship. Establishing the account, figuring out an equal amount to distribute into it and setting up auto payments will all simplify the process. This joint effort will also help you to keep detailed records. When you make a significant life decision like this, you’re likely operating in the state of mind that it will go the distance. You can’t have too much positive thinking in a long-term relationship, but it will also benefit both of you to establish some parameters in the event of a breakup. Practically every realtor will encourage you to create a co-ownership contract with the help of a legal professional. This agreement will answer essential questions in the event of a separation, like what happens to the ownership of the property or how the payments will work moving forward. If the unthinkable does become a reality, it will be a lot less complicated and hopefully more amicable. Sole ownership: As the name implies, only one person’s name will reside on the title, and that person will have all rights and responsibilities. This title can yield tax savings if you have a large enough split in income, but a breakup will leave you with no rights or claim to the property despite any money you put up. Joint tenancy: The most objectively equal title, joint tenants split ownership of the property 50-50. You can benefit from survivorship, which prevents challenges from outside parties in the event of your partner’s death. However, breakups can create complications without a preexisting agreement. Tenants in common: This distinction allows for unequal ownership splits, such as 60-40 or 90-10. This kind of title is useful for matching your and your partner’s financial contributions. That said, the death of your partner can complicate your claim to that percentage of the property. You’ll likely seek help from family and friends to aid you in the details of this big life decisions. It’s okay to solicit one or two tidbits, but don’t let your parents or other parties become too heavily involved in the process. Ultimately, only you two will understand what’s best for your circumstances, and too many outside voices can create doubts, which may put a heavy damper on what should be an exciting process. With the guidance of your real estate professionals and some tasteful advice, you can find the right place. 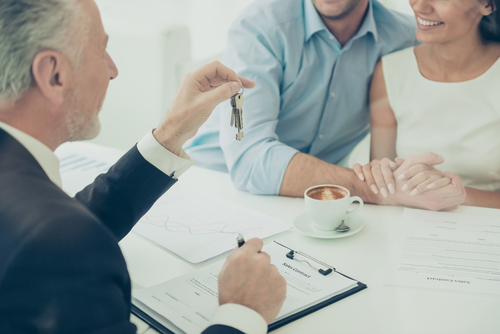 If you need help with any real estate transactions as an unmarried couple, CENTURY 21 Core Partners has the skills and experience to help you. We have extensive knowledge of regulations and properties throughout Central PA and Northern MD, so contact us today.